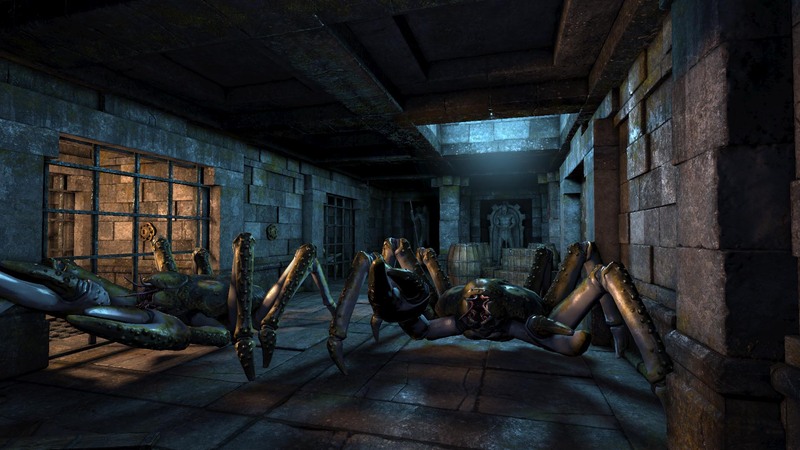 -Old-school dungeon crawling game inspired by Dungeon Master, Eye of the Beholder and Ultima Underworld. 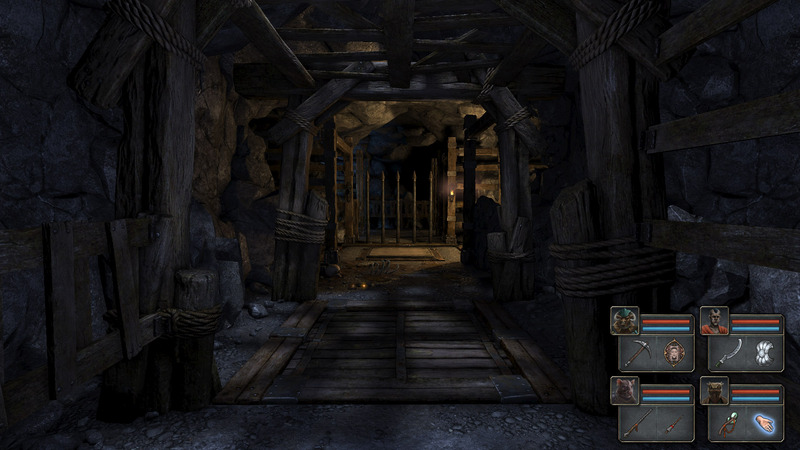 -Explore a vast dungeon riddled with hidden switches, pressure plates, sliding walls, trapdoors and more. -Discover secrets, cast spells with runes and craft potions with herbs. 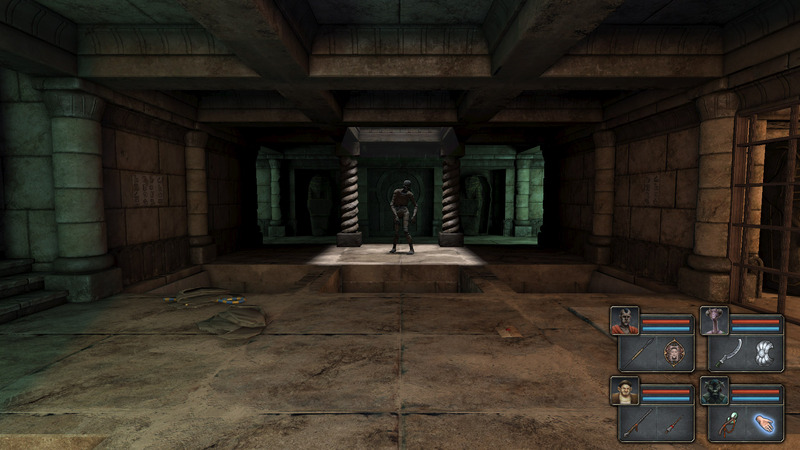 -Fight murderous monsters and seek lost artifacts in ancient tombs. -Create a party of four characters and customize them with different races, classes, skills and traits. Então ainda ninguém ouviu falar nesta beleza? Comprei, vale a pena pelo preço. Também está no GOG.com, sem DRM, e com uns conteúdos extra. Ouvi falar bem do jogo. Tenho andado a jogar e até agora está excelente. Ainda não tenho, mas sem dúvida que parece um old school RPG mesmo como eu gosto! Tenho que pegar nele um dia destes. Pelo que joguei até agora, é um jogo simplesmente fantástico. Este jogo esta mesmo excelente! Hoje em dia é mesmo raro encontrar um old school RPG assim. Se não fosse esse tópico esse jogo ia me passar completamente ao lado, tnx! Já ha algum tempo que ando de olho neste jogo. Simplesmente ainda não o comprei pois tenho outros jogos que estou a jogar de momento. Independentemente disso vai ser compra certo visto ser a coisa mais chegada que se consegue ter ao grandioso Dungeon Master. Com outros jogos para acabar, só espero arranjar numa próxima promo daqui a uns tempos. Infelizmente já acabei o jogo (QUERO MAIS! ), resta jogar outra vez em hard e com outra party para acabar os achievements que me faltam até sair o editor de mapas. Como vez essa informação? Ou foste decorando? Eu estou no nivel 7 e não creio ter achado metade do que tu encontras-te E até costumo explorar as coisas. O teu rogue evade/dagger o que tens equipado nas mãos? Dagger+escudo? Podes ver no Menu/Statistics tem tudo o que fizeste ate ao momento. Sim, "Round Shield" +7 evade acho eu, e a "Fist Dagger" +12 attack. comprei o jogo ontem e devo dizer que estou a gostar muito por enquanto, embora os niveis bastante repetitivos em termos de environment não choca mais do que isso. Last year was an incredible success for Almost Human. 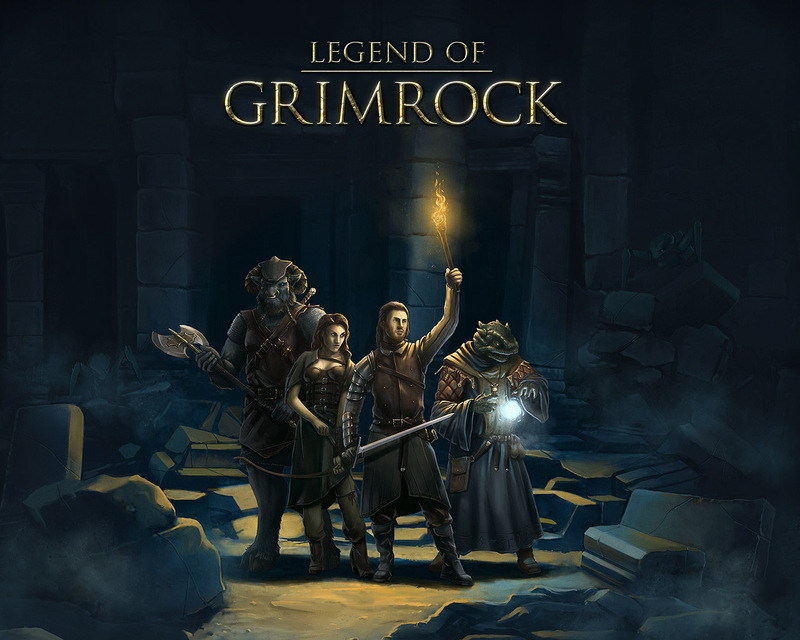 We released our first game, Legend of Grimrock, which was the best seller for two weeks in Steam and has continued to surpass our expectations. LoG reached 82 points in Metascore declaring it officially to be a great game (but we already knew that, right). 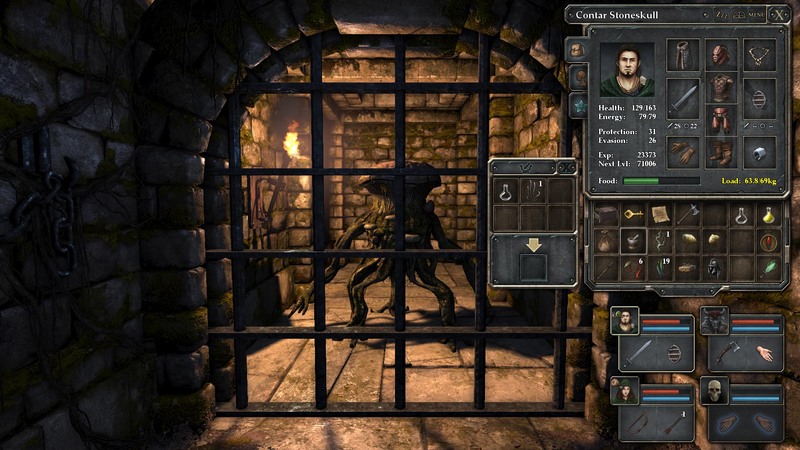 We also released the Dungeon Editor that has spawned lots of brilliant mods and Steam’s Legend of Grimrock Workshop has over 450 entries already! Our great community is always surprising us with their skills, creativity and activity in the forums with 50.000 posts and counting. And those post are really high quality stuff too, unlike most forums dedicated to games. That means you don’t run out of dungeons to explore in the future. Towards the end of the year we also released the highly anticipated Mac and Linux versions of LoG with great new features and optimizations. And to sum up the year, we’re now proud to announce that Legend of Grimrock has sold over 600.000 copies! We would’ve been happy with just one tenth of the sales numbers, so needless to say we’re very happy and the future of our company is secured for a long time. But great success doesn’t mean we haven’t lost our passion for making great games. So, what’s next, you might ask. We thought we could share with you a glimpse of some new exiting things we’ve been working on. But beware, this is only the tip of the iceberg. Enjoy! Bem, finalmente terminei o jogo e quero mais, como é que funciona aquilo das custom dungeons? Faço download e é praticamente uma expansão (sem "história", claro)? Posso levar a minha party ou começo do 0? Alguma recomendação? Já agora (errrr, talvez spoiler alert), arranjei novo fundo de ecran!